In all the failures of communication and the difficulties with the Island Bay cycleway, in my view the most important failing has been the communication of the vision, the big picture. I could talk about the health benefits (regular cyclists reach late middle age up to 10 years biologically younger than their more sedentary counterparts), or about reducing the number of petrol powered vehicles on the road, thus lessening air pollution, congestion, carbon emissions and the need for parking spaces….but what I would really like to talk about is the sheer pleasure of cycling. This was something that I had personally forgotten about until about six or so years ago. How many of us rode a bike as a child, maybe continued into our teens or twenties, maybe even have an old bike tucked away in the garage, but haven’t been on it for years? That was certainly me. I didn’t own a car until I married in my late 20s, and even then it was by default, a share in my husband Ross’s Cortina stationwagon. All through my teens and 20s, first as a student in Christchurch, working as an assistant engineer in Hamilton, and then returning to Wellington, living in Mt Victoria, I rode my bike. Marriage and children bought a different lifestyle, and riding the bike just seemed too hard, and then too unfamiliar, too scary.. Just too impossible. It was a colleague at Sustainability Trust who proved the circuit breaker, offering to ride with me from Newtown into the city to meet a client one day. Even hitching up my clothing and swinging my leg over the bars felt unfamiliar, dangerous even, but as I nervously followed her into the traffic, mimicking her hand signals and lane changes, and as we arrived right outside our destination in record time, gently energised and exhilarated, I realised what I had been missing. The sheer joy of cycling, of balancing, of being totally in the environment, senses all alert, on guard for careless drivers, being aware of the need to communicate my own intentions. To my surprise, it was much easier, and even safer, than I had thought. But safety was definitely my biggest worry, and that’s what we have to address. Many many surveys show safety concerns are the number one barrier to an increased uptake of cycling, and to getting more women, older people and children riding. The other thing is familiarity and confidence, and getting over the initial reluctance barrier. In my case, it was having another more confident cyclist to help me. And I guess that is why Go By Bike Day. I’ll be riding to work this Wednesday morning, starting 7.00 am at the Tirangi Road end of the Leonie Gill pathway, and going up Crawford Road and through Newtown to the city. I’d love you to join me. 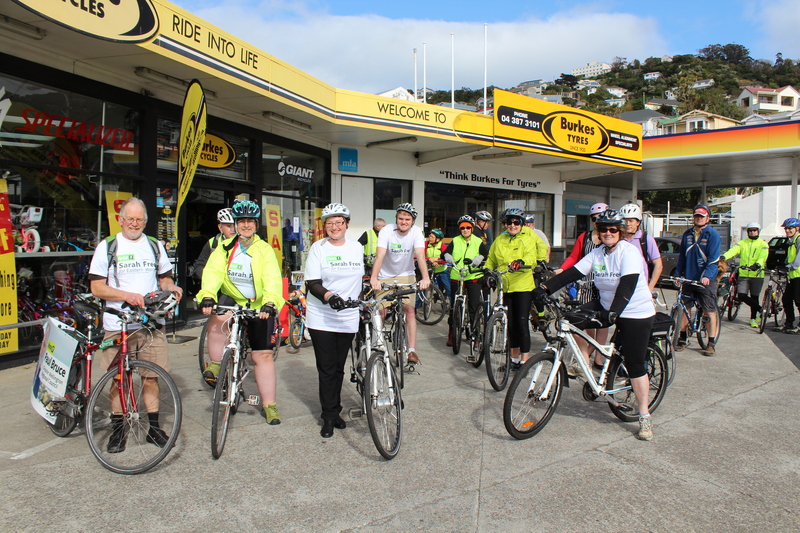 Ther are many other routes happening as well, just go to the Cycle Aware Facebook page or look on the Greater Wellington Website. It’s never too late to get back on a bike!